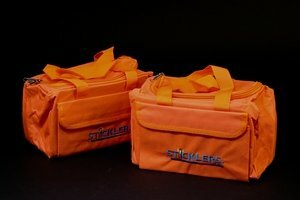 These handy, durable, and easy-to-find bright orange bags have been engineered to help fiber optic techs clean fiber networks quickly, reliably and inexpensively. Each kit conveniently provides all the cleaning tools a tech needs to get the job done right. The air spray is a ultra-pure dry gas convenient for cleaning unprotected equipment, circuit boards, keyboards, etc. when working in a less-than-clean environment. Copyright © Fiber Optic Cable Shop. All World Rights Reserved.